When you get married, you want to spend this special day with all of the important people in your life. For pet owners, that could include their dog. But how can you make sure your dog is part of your special day? You’d be surprised by the different options available! Read on for some great suggestions. 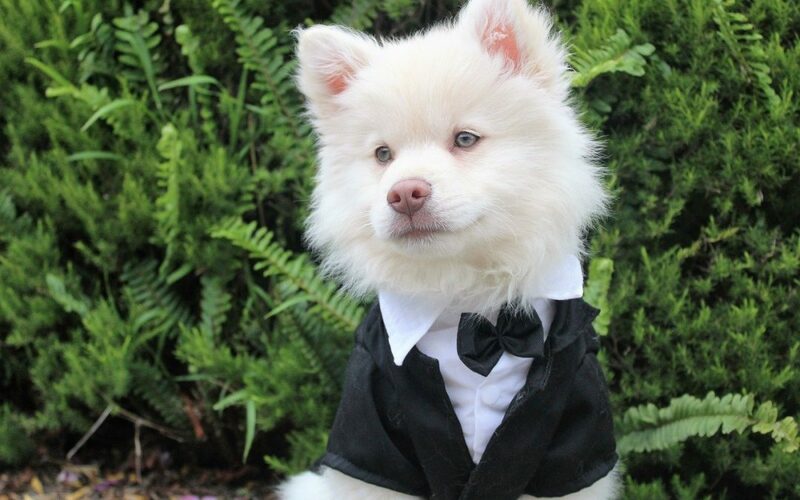 One of the cutest ways to incorporate your dog into your wedding day is to walk it down the aisle. 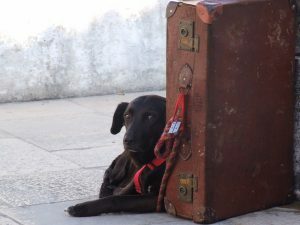 If you have a senior dog, you may want to look for a carrier. You can search for something for my big dog online, you will find plenty of different options to push or pull them down the aisle. They can even be decorated to match your wedding theme! If you have a small dog, you or one of your bridesmaids could carry it down the aisle. One bride who worked at a rescue center got all of her bridesmaids to carry rescue dogs down the aisle, which is a super cute idea! If you can’t physically include your dog in the proceedings, you can still honor your dog by incorporating dogs into the theme of your wedding. There are so many fun, different ways you can do this. For example, when it comes to sending invites and save the dates, you can create your own, incorporating your dog. Get a sign made with “we’re getting married” on it, place it around your dog’s neck, and take a photo. That picture can then be used for save the dates. You can also have a dog theme in terms of the favors you provide your guests with. Why not make a donation to a dog rescue center as the wedding favors? Or you could give guests a fancy chocolates in the shape of a paw print! The options are endless. You’ll most likely want to include your dog in the photos you have taken for the special day. There are many different ways you can do this. The best thing to do is talk to your wedding photographer beforehand. Explain that you want a good selection of photos with your dog, and they will offer their professional advice on the best way to do this. If you are having a photo booth at your wedding, you can get some props for your dog too. An overtired dog is not exactly the easiest to manage, and you don’t want to be dealing with an exhausted dog on your wedding day. Select a quiet area for their crate to let them have some downtime during the festivities. Consider appointing someone to check on them often, or even to take them home early if they’re tired or anxious. You want the day to be fun for all involved, and knowing they’re safe and content is the best way to have a wonderful day! 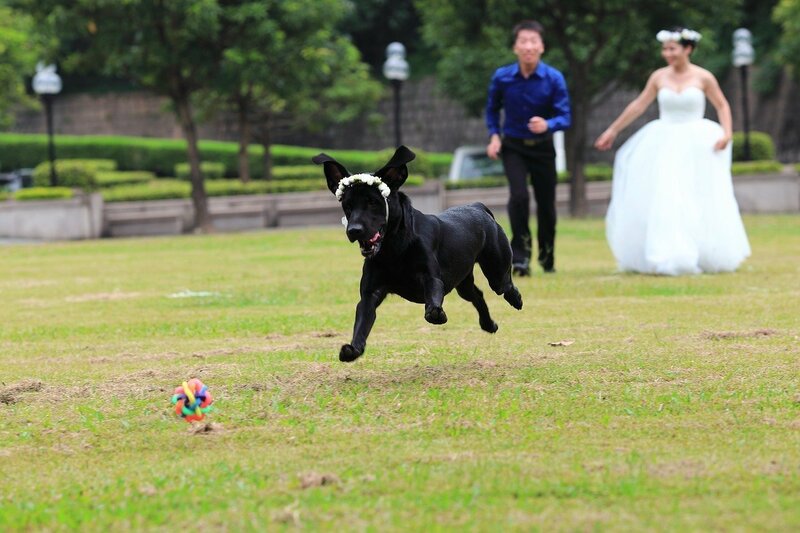 Are you including your dog in your wedding day? Share the details below!